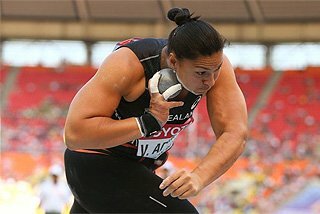 Some of the best head-to-heads at the 2013 IAAF World Youth Championships will happen in the girls’ events in Donetsk, with tight battles set to take place in the sprints, horizontal jumps and Hammer Throw. In other events, such as the 2000m Steeplechase, there’s a chance that a World youth best could be broken. Here’s a look at what to expect in the girls’ events across the five days of action. 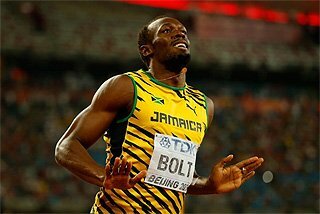 Four years ago at the IAAF World Youth Championships, the top three places in the 100m and 200m were filled by the same athletes in both events, finishing in exactly the same order. It would be a surprise if the same were to happen again, but there are four clear contenders who will be competing in both sprint events. Sweden’s Irene Ekelund has set national junior records in every sprint event this year, indoors and outdoors. After clocking 7.32 for 60m and 23.15 for 200m during the indoor season, she has set PBs of 11.35 for 100m and 23.24 for 200m this summer. It means she is very evenly matched with USA’s Ariana Washington, who has improved to 11.39 and 23.18 this year, as well as a wind-assisted 11.18 at altitude. 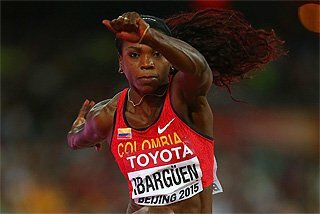 Ecuador’s Angela Tenorio has also posted her best times at altitude, recently running 11.30 for 100m and 23.26 for 200m. And Washington’s team-mate Ky Westbrook, with PBs of 11.45 and 23.37, is also entered in both events, making both sprints very tough to call. As is often the case at the World Youth Championships, the 400m looks to be a contest between USA and Jamaica. USA’s Olivia Baker leads the rankings with her 52.71 PB and she is joined on the team by Raevin Rogers, who recently ran 53.34 to improve on the 53.36 PB and world age-12 best she set back in 2009. But Jamaica will be strong too with 53.17 runner Yanique McNeil and her team-mate Tiffany James. 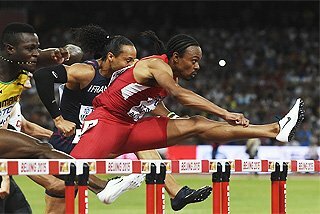 McNeil’s namesake, Yanique Thompson, is the favourite in the 100m Hurdles. She came within 0.01 of the national youth best earlier this year with her 13.23, but has been improving with every race. Cuba’s Stephanie Amador is also one to watch. South Africa has never won a medal in a girls’ sprint event at the World Youth Championships, so 400m hurdler Helene Swanepoel, who leads this year’s rankings with 58.48, could make history in Donetsk. 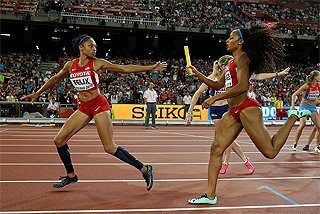 Two years ago in Lille, USA were beaten in the girls’ Medley Relay for the first time ever at the World Youth Championships. Jamaica will be keen to defend their title, but USA will be fired up to regain gold. 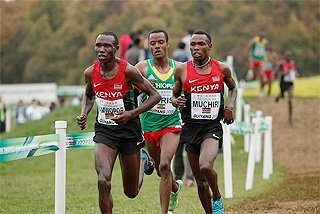 DISTANCE – World best on the cards for Chepngetich? The event with the best chance of a World youth best being broken is perhaps the girls’ 200m Steeplechase. Last month Kenya’s Roseline Chepngetich came within 0.2 of the mark when running 6:12.0 at altitude. The only thing that may work against her chances of breaking that mark is that there will be few athletes to push her, as team-mate Daisy Jepkemei has a best of 6:24.52 and is the only other athlete this year to have broken 6:30. Iceland’s 800m rising star Anita Hinriksdottir is another clear favourite. In the absence of USA’s Mary Cain, who is focusing on competing at the IAAF World Championships in Moscow, Henrisdottir is comfortably the fastest entrant with her 2:00.49 senior national record. 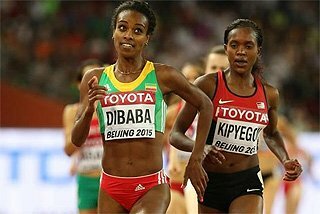 It has been 10 years since Ethiopia last won a girls’ 1500m title at the World Youth Championships, but that looks set to end in Donetsk as Tigist Gashaw and Dawit Seyaum are strong contenders for the title. 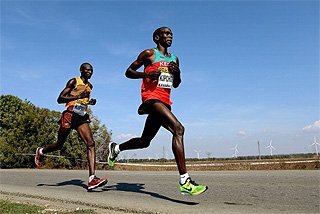 Ethiopia will be well represented in the 3000m too with Silenat Yismaw and Berhan Demiesa, but Kenya look even stronger with World junior champion Mercy Chebwogen and Lilian Rengruk, who beat Chebwogen at Kenya’s World Youth Trials. 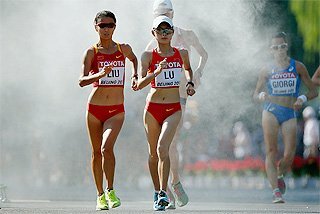 Russian athletes have made it on to the podium at every edition of the World Youth Championships in the 5000m Race Walk, and that tradition looks set to continue in Donetsk. Not much separates Olga Shargina and Klavdia Afanasieva at the top of the rankings, while Chahinez Nasri, the third-fastest entrant for Donetsk, could be set to win Tunisia’s first ever medal at the World Youth Championships. Romania’s Florentina Marincu is the top-ranked long jumper with 6.54m, while China’s Wang Rong has the best triple jump mark of 2013 with her indoor 14.09m. 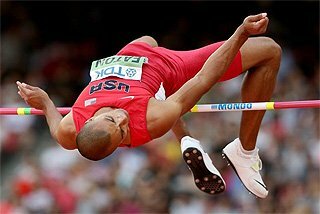 The two athletes will compete in both of the horizontal jumps and could well leave Donetsk with two medals each, and one of them could perhaps even replicate the double gold achieved by Christine Spataru in these events in 2003. Despite being the second-youngest entrant in the Pole Vault, 15-year-old Robeilys Peinado is favourite to take gold after breaking the Venezuelan senior record in May with 4.35m. Coincidentally, Venezuela’s only other medal in the history of the World Youth Championships has been in this same event, with Keisa Monterola taking silver in 2005. Australia’s Eleanor Patterson goes into the High Jump with the best marks of any athlete and has been consistent around the 1.85m level – a height which no other entrant has cleared this year. Arguably one of the most intense rivalries in youth athletics, Hungarian throwers Reka Gyuratz and Helga Volgyi have been setting the world alight this year in the Hammer. Competing with the new 3kg implement, the pair have improved the World youth best numerous times with Gyuratz recently taking it to 76.04m. Over the past three years the pair have competed against each other almost 100 times with Gyuratz having the overall head-to-head advantage. But based on 2013 the stats are far closer with Gyuratz only marginally leading 8-7 in the 3kg Hammer contests, while the pair are level in senior-weight Hammer competitions this year, 3-3 with Volgyi winning their most recent duel. As is the case with the Hammer, the Shot in Donetsk will also be contested with a 3kg implement for the first time ever at the World Youth Championships. Turkey’s Emel Dereli has dominated the event this year and last month threw 19.99m. But Russia’s Alena Bugakova is improving rapidly too. Similarly, the girls’ Javelin has been made lighter and athletes now compete with a 500g implement. 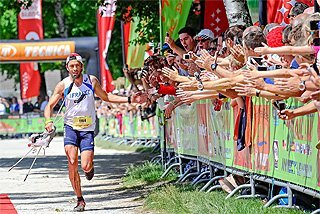 Italy’s Ilaria Casarotto leads the rankings, but close behind are Latvia’s Anete Kocina, South Africa’s Jo-Ane van Dyk and Hungary’s Reka Szilagyi. In the Discus, the only girls’ throwing event where athletes compete with the senior implement, China’s Xie Yuchen owns the top five marks of the year, her best being 54.16m. Team-mate Liang Xingyun is the only other entrant to have thrown beyond 50 metres this year. Four years ago in Bressanone, Britain’s Katarina Johnson-Thompson struck gold in the Heptathlon. Fellow Briton Morgan Lake heads into Donetsk with the best mark in the world this year. In fact, with the girls’ Heptathlon now making use of the lighter Shot and Javelin for youth athletes, Lake’s 5725 is a world youth best. The 16-year-old’s best event is the High Jump, where she will likely score valuable points, and is also strong in the Shot. 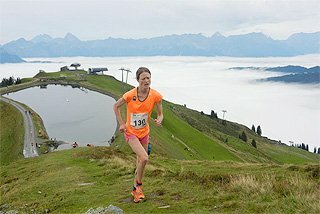 Based on this year’s rankings, German duo Louisa Grauvogel and Celina Leffler are close behind, as is Russia’s Elizaveta Kolokolchikova.